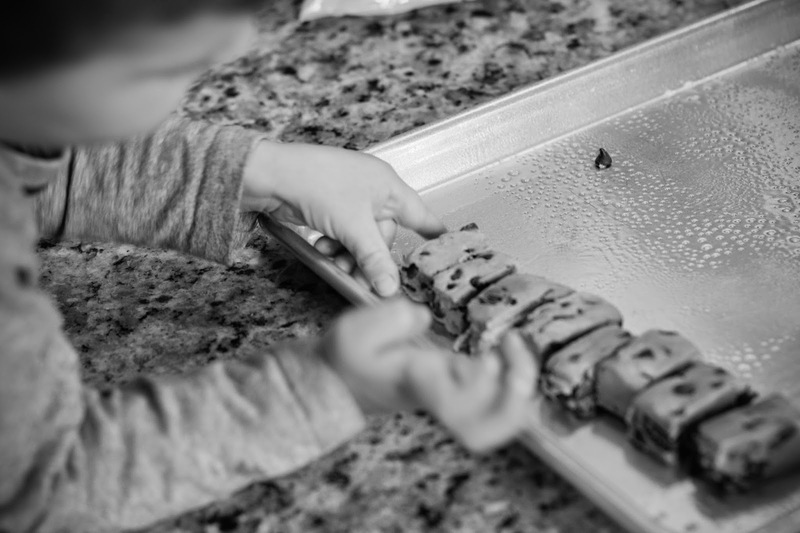 This year one of my New Year's resolutions was to get my kids in the kitchen cooking with me more. Tate is becoming quite the picky eater these days and I have vowed to not let happen! I find when I let him help me prepare meals and snacks he is much more apt to try it (or even finish it!). 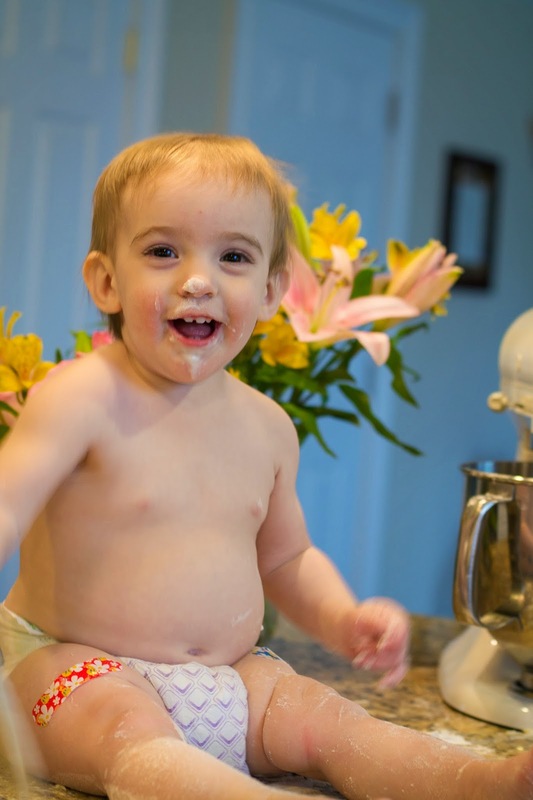 But, like all mothers know, when we let our little ones step in the kitchen with us, chaos emerges (see cute baby above covered in flour for example). It takes us twice (let's be honest, three to four times) as long to prepare the meal and the kitchen is five times messier than it would have been without little hands and feet in it. 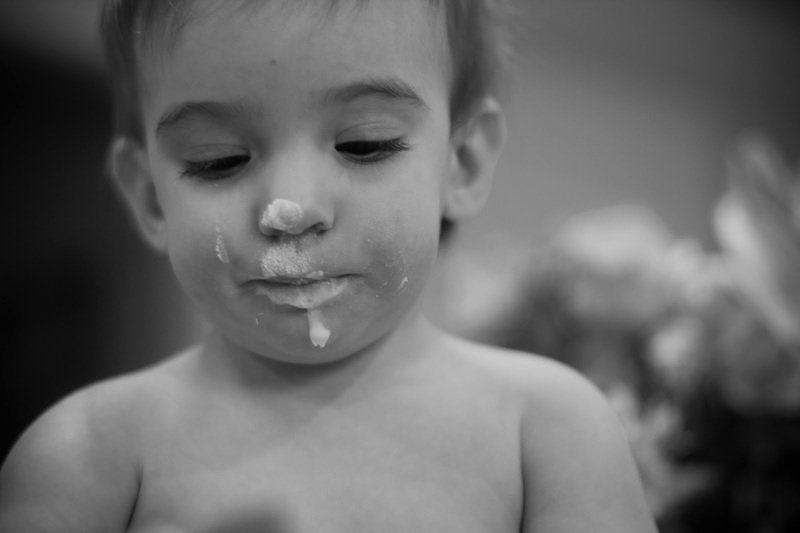 Cooking with kids is no easy task and not for the faint of heart. 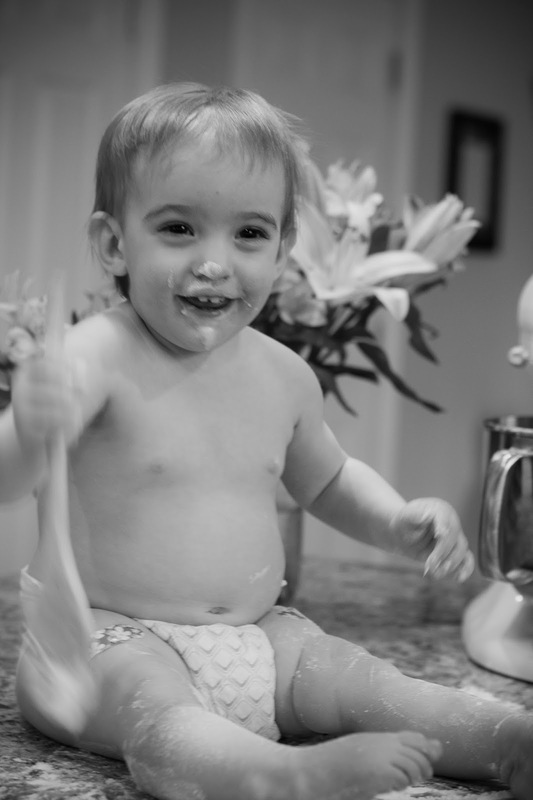 That is why I am so glad Nestle Toll House has created amazing ready to bake cookie dough for times you want your kids to join you in the kitchen but you do not have time for the mess that made from scratch cooking makes. 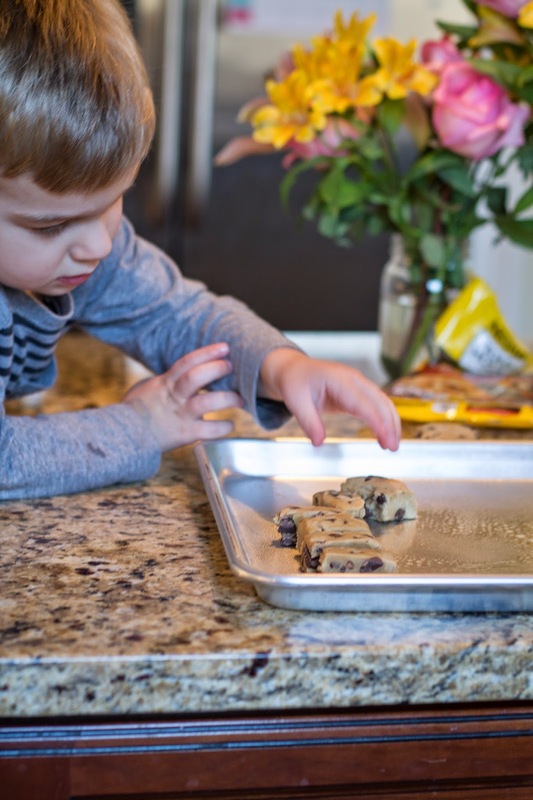 Nestle's has created Nestle Toll House Rolled & Ready Cookie Dough perfect and easy for making fun springtime sugar cookies so your little ones can both help bake and have a blast icing away and getting a sugar-high that will last until bedtime, right?! Or, if you are looking for something a little more sophisticated than 'regular-ol'-shaped-cookies' check out Nestle Toll House's site for a little inspiration from their own recipes (think Pistachio Sugar Cookies or Pinwheel Sugar Cookies). Unfortunately, Cincinnati is a little late in the game and the Rolled & Ready Cookie Dough is no where to be found (I seriously have looked everywhere ... please tell me when and where you find them!). Tate was a little disappointed to not find the dough where we can 'cut dinosaurs' out of, but I don't think he was too disappointed by Nestle's scrumptious Chocolate Chip Cookie Bar Dough (fortunately I am on a no-sugar cleanse week or I would have eaten at least half a dozen!). I have talked a lot about traditions on this blog and how important they are to me. One thing I hope my kids look back on when they are older are all the fond memories they have cooking in the kitchen with me. It is a wonderful opportunity to teach our kids simple things like following directions, measuring things and even patience. I love activities that allow me to bond with my kids and strengthen our relationships. 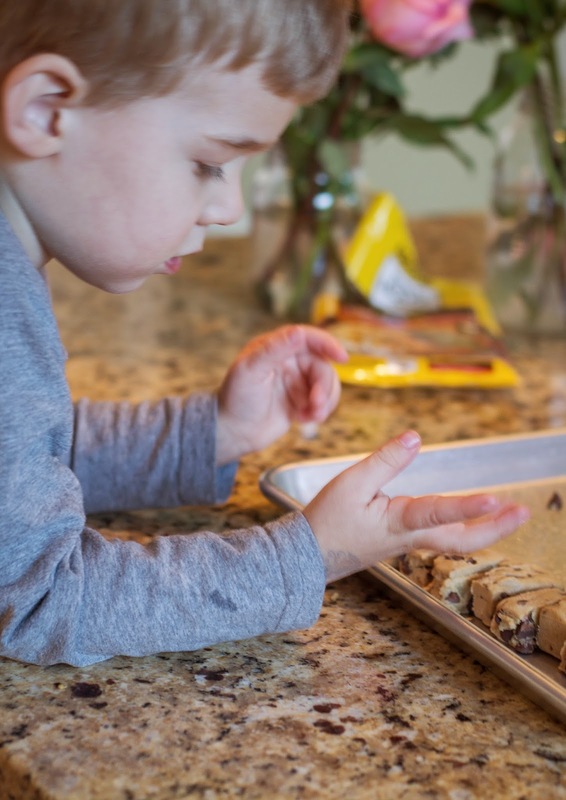 So, for the times you want to create special traditions of cooking and baking with your kids without the mess try Nestle Toll House Rolled & Ready Cookie Dough or any of there other yummy pre-packaged dough (you won't be disappointed!). For more recipes using Nestle Toll House Rolled & Ready Cookie Dough and other products see Geoff's favorite Fruit Pizza recipe from an oldie but a goodie blog post HERE. Many thanks to Nestle Toll House for sponsoring today's post and encouraging me to get in the kitchen with my kids. As always, all opinions are my own and I only promote products I use and love (which this is one of them! ).